Mary Ethelyn (nee Cunningham) Caddell, 84, passed away Sunday, February 14, 2016. She was born in Lewis County to the late Omer and Hazel Hughes Cunningham. 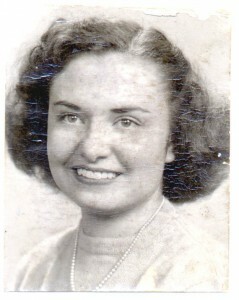 She was the beloved wife for 62 years to Kenneth E. Caddell; devoted mother to Diana (Barney) Stevens and Kathleen (Lewis) Whittington; loving grandmother of Aryella Williams, Shannon Stevens, David Whittington, Erin Demara, and Jessica Black; great-grandmother of Tyler, Isaiah and Corbin Williams, Daniel and Caleb Whittington, Alena and Samantha Demara and Timmy and Brynlee Black; dear sister of James (Jan), Herman (Joan), and the late Beuford (Janie) and Clayon Cunningham. She is also survived by many nieces, nephews, and a host of friends. Services were held at 1:30 p.m. Thursday, February 18, 2016, at Branch Hill Baptist Church. Memorial donations may be made in her name to the Cincinnati Eye Institute. Arrangements were under the direction of Evans Funeral Home.